That’s why Jacintho is supportive of Maui County’s plans to expand the Kula Agricultural Park. With funding from the state, the county is thinking of leasing and eventually purchasing 869 acres of former sugar cane land from Alexander & Baldwin. Several residents who showed up to a meeting at the Kula Community Center on Wednesday said they hoped the park expansion could open the doors to more small farmers, who face challenges in the availability of farmland and its cost. The current Kula Agricultural Park on Pulehu Road spans 445 acres and supports 26 farmers on lots ranging from 10 to 30 acres in size, according to the county website. 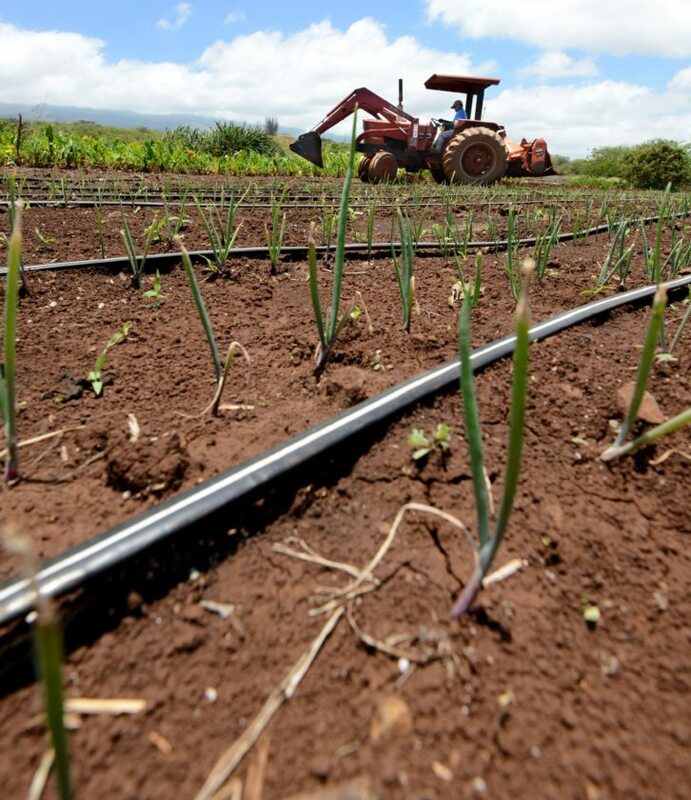 Kula onions, vegetables, turf grass and dryland taro are among the crops growing there. Land in the current park is leased out for $100 per acre per year, said Teena Rasmussen, director of the county Office of Economic Development. The 869 acres that the county is considering are divided into four parcels bordering Omaopio and Pulehu roads, just west of Hawaii Sea Spirits Organic Farm and Surfing Goat Dairy. Yamamura said there are plenty of crops that could be grown there, including bananas, papayas, cucumbers, pineapple, tomatoes, sweet corn, potatoes and chickpeas. The site also could be used to raise livestock. 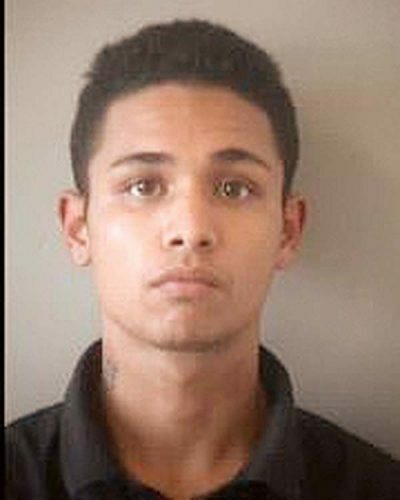 Growing numbers of wild pigs, axis deer and various birds in the area could pose a challenge to farmers, he added. The state Legislature has set aside $5 million for the purchase, and the county is chipping in another $1 million. However, a deal with A&B is still in the early stages. 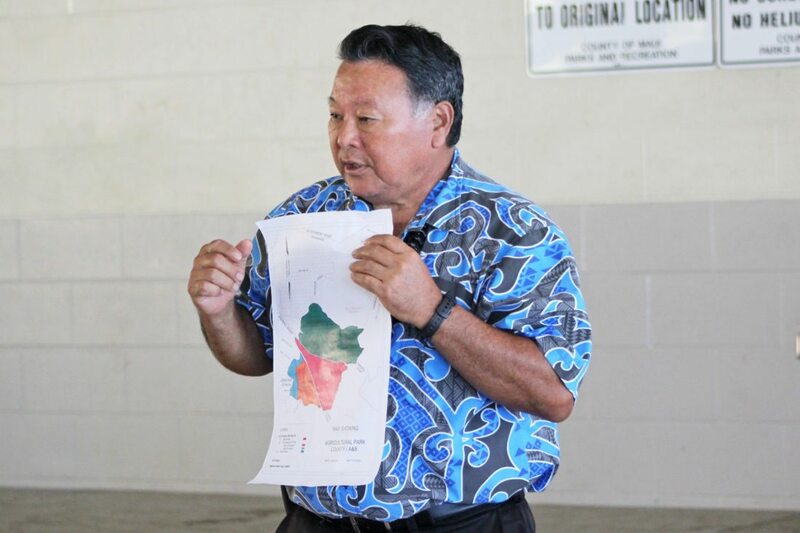 Mayor Alan Arakawa said the county first has to figure out what farmers envision for the land — lot size, crop types, farming methods and more. The county is thinking of buying some of the land and leasing other parcels that it will eventually purchase. He said the park is open to all crops and farmers. “What we’re trying to do from the county side is to provide opportunities for those on the smaller scale to be able to actually create farms,” said Arakawa, who is also a farmer. Arakawa said he hoped the water costs would be lower in the extended portion of the park, because it sits below the 55-million-gallon reservoir and can be gravity fed. Water has to be pumped uphill to the current agricultural park. Depending on the type of crops grown in the park, Arakawa said the county may have to install a system to generate potable water to wash hands or produce. Some residents raised concerns about having conventional and organic farmers in the same area. Rasmussen said it’s only “Day 1” of the process to expand the park. The county has to work out a plan for the additional acres, and the County Council has to approve the purchase before the state can release the funds. Arakawa said it could take two to three years before farmers could actually get onto the land. Simon Russell, chairman of the Hawaii Farmers Union United’s legislative committee, said one of his big concerns was affordable housing. Cultivating 869 acres will take a lot of workers, and housing isn’t cheap Upcountry, he pointed out. Farmers also can’t live on their plots or build any nonfarm structures in the agricultural park. But Russell said the low cost of rent in the agricultural park would help attract farmers, many of whom don’t have their own land. Russell grows sugar, papaya, vegetables and herbs on 2 acres in Makawao and hopes to lease 100 acres in the extended park. Jacintho, who runs Beef & Blooms and Na’alae Beef Co., isn’t planning to lease land in the park, but said he hoped the county could set aside smaller parcels of a few acres for farmers. He pointed to a 2012 U.S. Department of Agriculture Census that showed that most small farms in Hawaii were from 1 to 9 acres. In Maui County, 711 farms were of that size, with 293 farms of 10 to 49 acres and 61 farms of 50 to 179 acres. For more information, call the Office of Economic Development at 270-7710.